We believe children can reach their full potential with a great college-prep education and a strong moral focus program. Our goal is to help children develop the knowledge, skills, and moral strength they need to succeed in high-school, college, and in life. 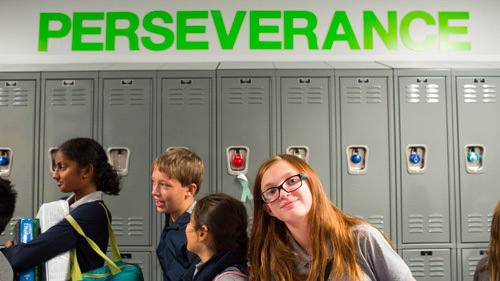 Our Moral Focus curriculum makes virtues like respect, integrity, perseverance, and courage part of every school day to build the strong moral character they need to be happy and successful. Young 5 Kindergarten is designed to help young learners adjust to the social and academic demands of school in a fun, hands-on environment. Teachers help Young 5 students develop social, motor, and academic skills necessary to prosper in kindergarten. 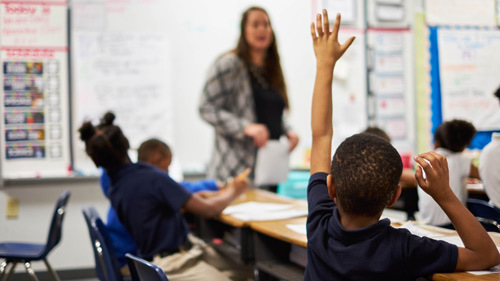 In Kindergarten through second grade, young students develop their baseline academic skill-sets, with an emphasis on English language arts and mathematics, preparing them for success when faced with the increasingly rigorous demands of higher grade-levels. In third through fifth grade, students augment their academic skill-sets, continuing an emphasis on English language arts and mathematics, and expanding into additional subjects. This sets students up for success when faced with the increasingly rigorous demands of higher grade-levels. In sixth through eighth grade, students augment their academic skill-sets, continuing an emphasis on English language arts and mathematics, and further building upon additional subjects. This sets students up for success when faced with the increasingly rigorous demands of high school. In Kindergarten, I didn't know any English. So the Spanish half of the day was fine, but the English half was really scary. Now I'm in second grade, and I even think in both languages. If I'm in English class and you point at that thing, I think of it as a "chair" first, and not a silla." We believe kindness and strong hearts and minds can impact the world in significant ways. Virtues like respect, compassion, and perseverance are essential for kids to succeed and an essential part of what we teach. We make moral focus lessons part of every school day. Every student should have the opportunity to attend college and excel there. From day one, we instill college-preparedness skills in the ways that we train students to think, communicate, and problem-solve. Students practice their critical-thinking skills in real-world contexts. A well-rounded education means giving children the opportunity to express themselves physically and creatively. Every NHA school offers art, music, technology, electives, sports, and more. Visit a school near you and see what we have to offer.